You can put 1.0. * and Visual Studio will take care about incrementing the version- but it will be difficult to identify the build date. It is obvious that if we change the source code will remain all AssemblyVersion 1.0.0.0. 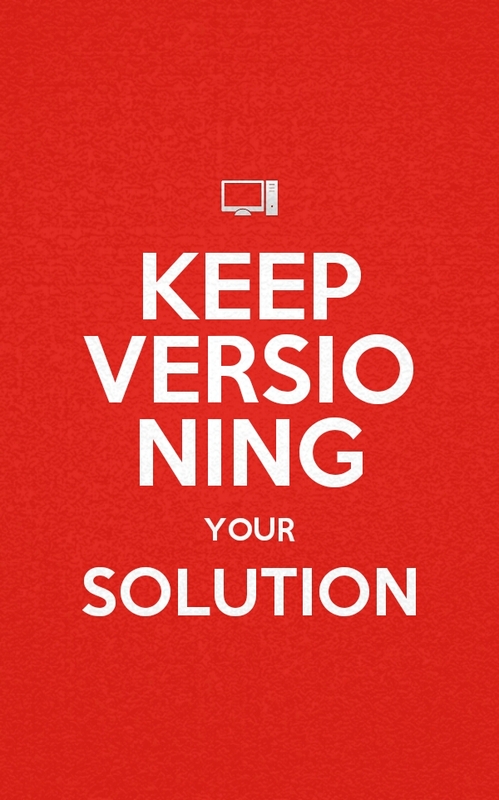 So if we want to have control over versions then we can modify the version manually . In the following tutorials we will show various ways to automatically change the version, as well as to add other details in AssemblyDescription. In this way, the version will increment every time. What is disturbing is not incremented so that we can see, for example, build on site. Traceability is the ability to verify the history, location, or application of an item by means of documented recorded identification. Suppose we have a source code that you distribute one to several customers. Suppose we modify the code for version two. Some of his old clients make software upgrades – others not. If a customer reports a bug, how do we know which version of the source code had problems?